Malaria Consortium was founded in 2003 by a small team of people with a vision - to build the capacity of malaria-endemic countries worldwide to deal with a common and treatable disease that was devastating the lives of poor and vulnerable communities. Over the course of a decade of innovation and strong partnerships, this vision has grown from focusing solely on malaria control and prevention to include integrated approaches to improving child health and neglected tropical diseases. 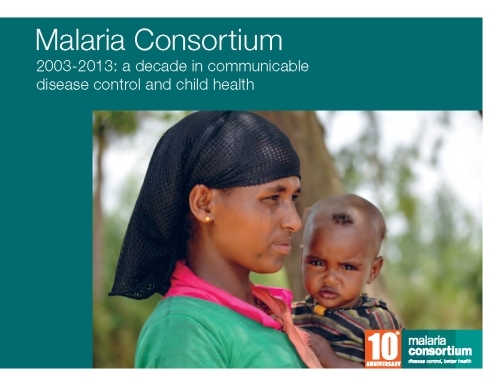 Now working in fifteen countries across Africa and Asia, Malaria Consortium is delighted to take the opportunity of the organisation’s 10th anniversary to reflect on a decade of impact.